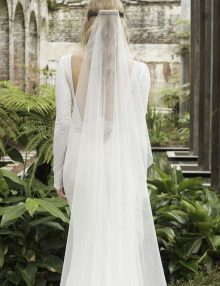 Paris is a delightful veil with a lovely shimmery sparkle! 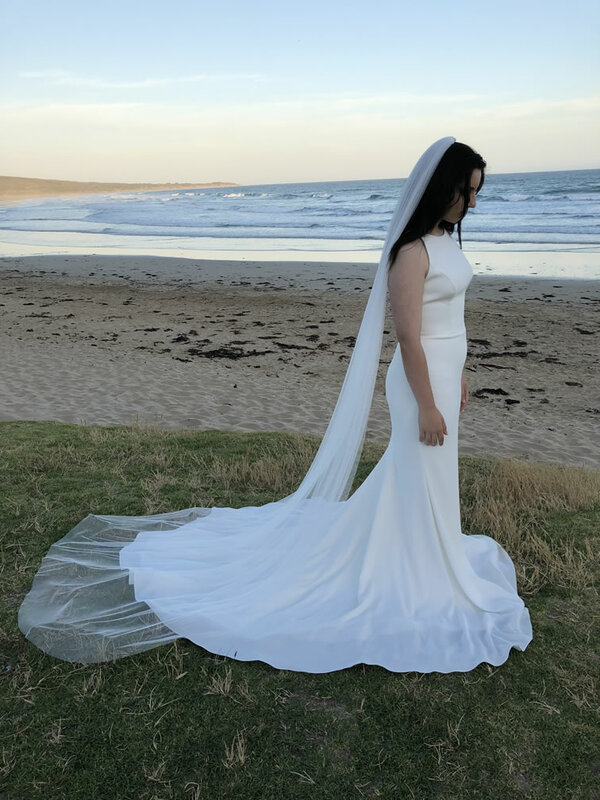 Ideal to wear with slim-fitting or A-line wedding gowns. 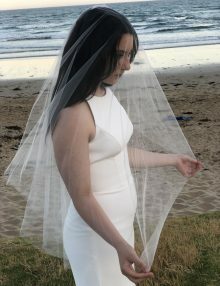 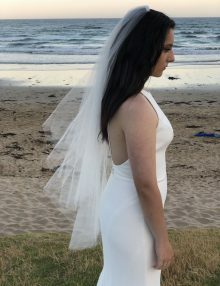 This single tier veil has a plain cut edge. 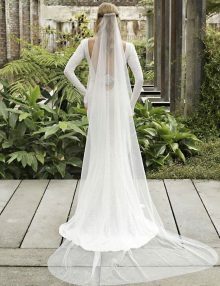 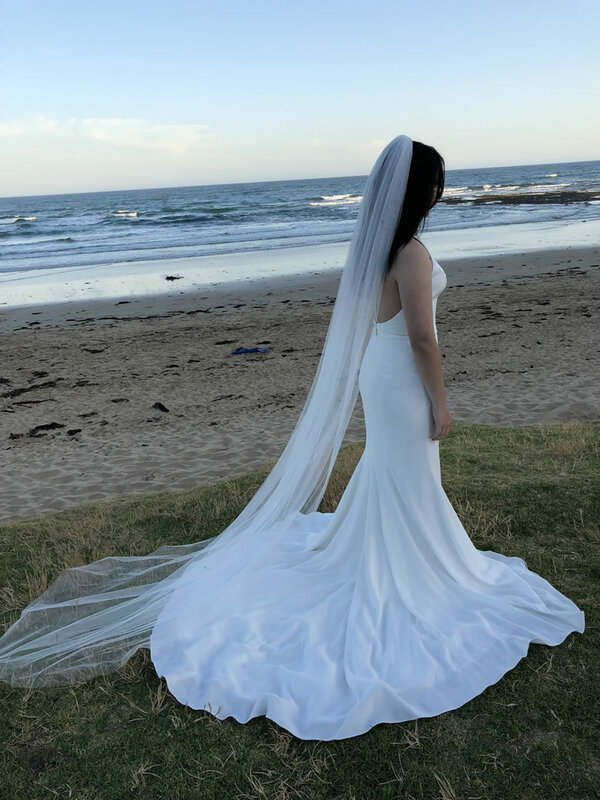 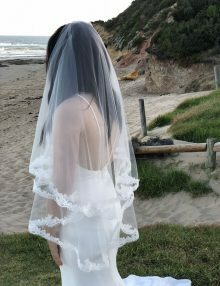 This veil looks stunning when worn towards the back of the head, or under an up-do. 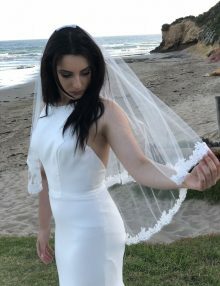 Cannot be worn over the face. 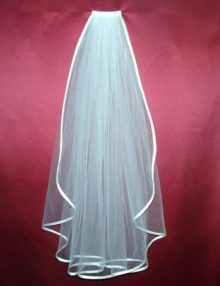 Available in Glamour tulle in White, Ivory and Latte (suits champagne coloured dresses).